Congratulations! 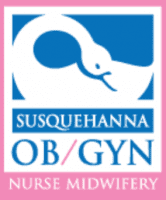 We are delighted that you have chosen Susquehanna OB/GYN for your care during pregnancy. We look forward to sharing this very special experience with you. At Susquehanna OB/GYN, we strongly believe in patient education. We have put together an extensive web-based resource center to give you useful and up to date medical information about your pregnancy and healthcare. We have partnered with Healthwise, one of the nation's oldest and most respected patient information companies, to provide you with medical literature that is free of advertising. Your educational material must not be influenced by outside commercial interests. Provides practical information as you begin your prenatal care. The articles in this section should be read prior to your first visit. Takes you on a step-by-step journey through the three trimesters of pregnancy, labor and delivery, and finally to your first few weeks at home with your new baby. Reviews specific areas that may be important to your pregnancy. As your pregnancy progresses, we will refer you back to this site to learn more about your baby's growth and development. We invite you to read the various sections before each visit, helping to make your time during office visits more valuable. Please read and share this information with your family so that you can make decisions that are right for you. We are always delighted to discuss and answer questions you have. Our philosophy is to create a healthy, family-centered experience for your pregnancy, knowing you and your baby are well cared for.